The kiddies in these parts get a couple of days off from school for Rosh Hashanah– that’s the Jewish New Year. 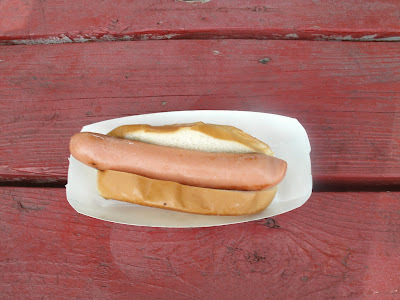 Little Miss has started kindergarten and we haven’t had the chance to do a Hot Dog Story since our trip to Rapid Ray’s. Today she asked if we could go get hot dogs somewhere; I had a special surprise for her. I was feeling nostalgic, so we went to Easton, Massachusetts and saw this sign. 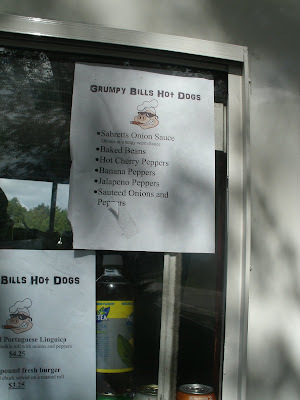 This is Grumpy Bill’s Hot Dogs but Little Miss noticed something familiar…. …it was The Hot Dog Truck! This is my old Hot Dog Truck and Bill hasn’t changed the truck lettering! 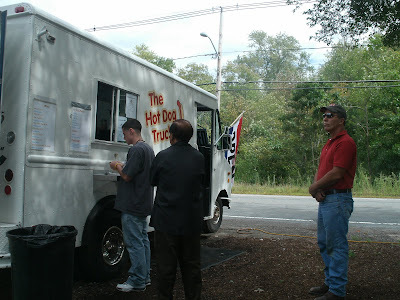 I sold the Hot Dog Truck to Bill last fall after I had to close my business. 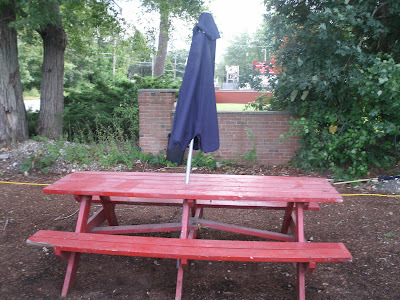 Now it’s located at 785 Washington Street (route 138) in Easton, Massachusetts in the HUGE parking lot in front of S.E. Equipment. This is a great location: it’s on a well traveled route, the Hot Dog Truck is very visible and there’s plenty of room for the big rigs in the parking lot. I introduced myself to Bill’s son, Joe Callahan. 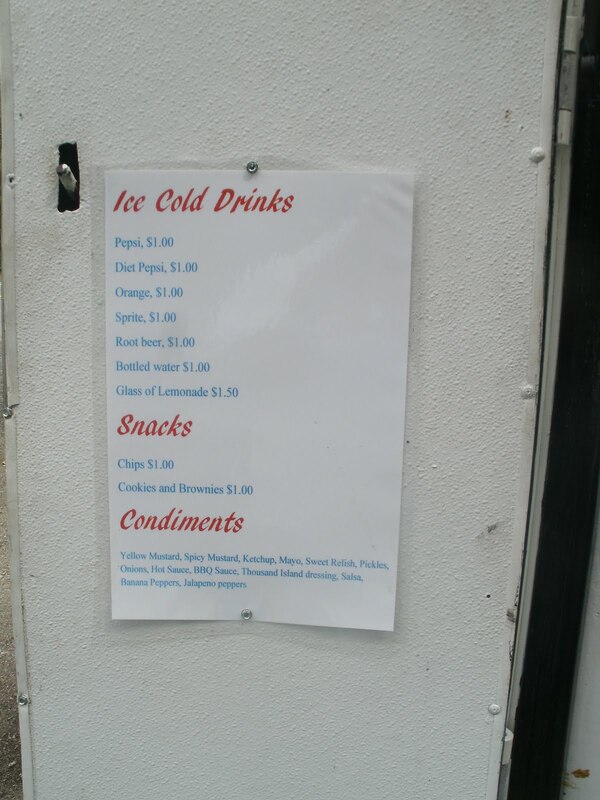 Bill told me he was buying the truck so his son could get into the hot dog business as a summer/part time job. 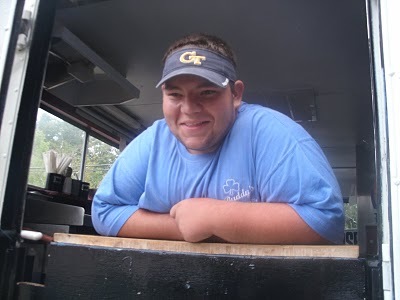 Joe’s been running the Hot Dog Truck since June 10, 2010 but he’s letting dad take over now. 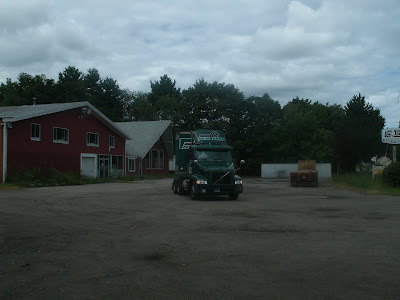 Joe’s a senior at Oliver Ames High School- he runs the truck on weekends and vacations (like today) and Bill takes over when Joe has to hit the books. 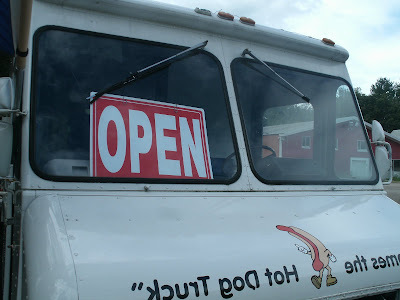 Joe said business has been good-from the steady stream of customers we saw on our visit, I’d have to concur. For those of you who don’t know, Easton is home to Stonehill College. Joe and Bill are planning to open the Hot Dog Truck in the Buddy’s Union Villa parking lot on weekend late nights (the Villa’s kitchen closes at 10 PM) to get the hungry college kid business. 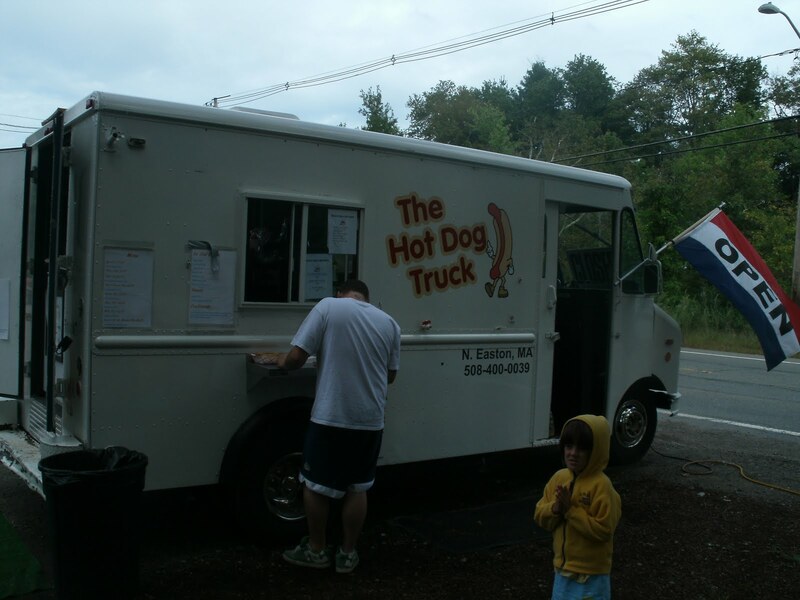 He’s even considering bringing the Hot Dog Truck with him to school- I remember a hot dog cart that used to be on the streets after the bars closed in Amherst when I attended UMASS back in the “olden days.” There are a lot of hot dog vendors out there who exclusively run their hot dog business in this nocturnal fashion. It looks like the Callahan father/son team has a good thing going. 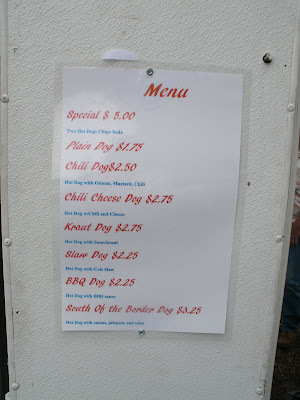 There’s standard Hot Dog Truck fare, plus they serve burgers, kielbasa and Italian sausage. 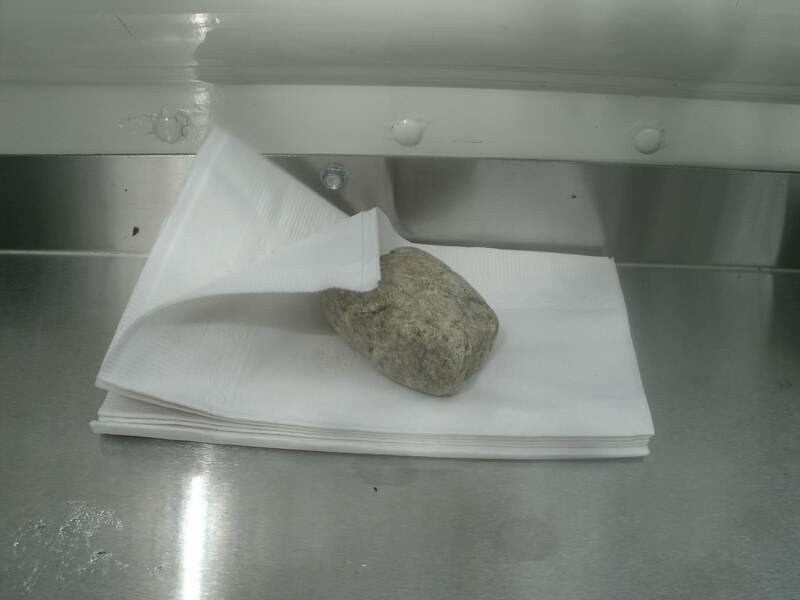 Hmmmm. There’s a bit of a line…. 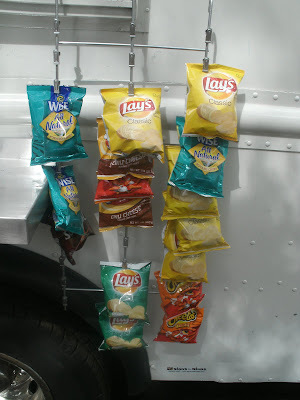 We had time to check out the assortment of chips and snacks- they had Little Miss’ favorite: CHEETOS! Bill was using my old patented napkin dispenser. The dining room was free- folks were eating in their cars or waiting in line. Ahh. Finally. 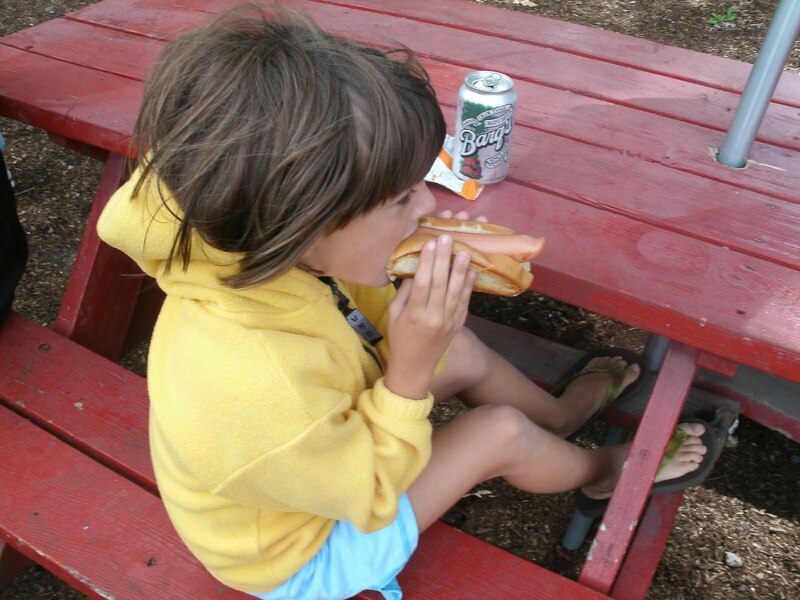 Little Miss got her standard plain hot dog. Joe serves up a steamed Kayem Old Time frank which he finishes by lightly grilling. He confessed to using my old trick of steaming the hot dogs in beer and onions! The dogs come on a grilled bun too- my favorite! I opted for a chili cheese dog with onions and mustard under and a ‘slaw dog with mustard. I like using my chips to scoop up the spilled chili and cheese. It’s like having a small order of nachos for dessert. 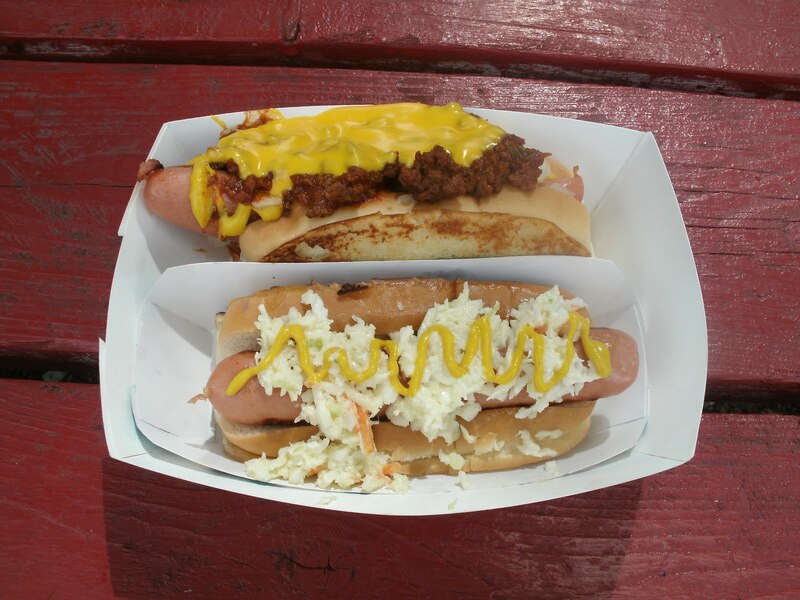 These were good dogs. The hot dogs were piping hot, the grilled buns had that special crispiness and the chili was EXCELLENT. Bill makes his own chili. 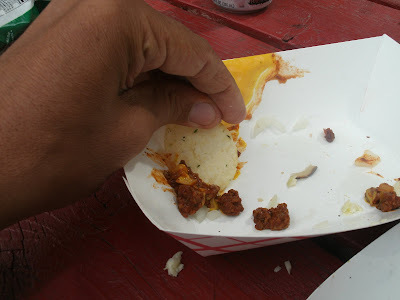 It’s a meat chili that has a smoky flavor and a nice, even spiciness. 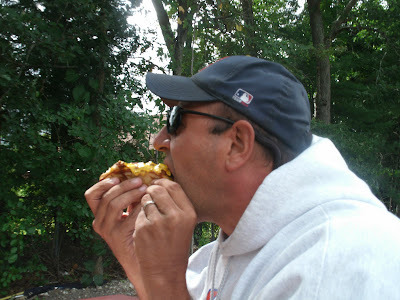 It’s not a spicy hot chili- more like a barbecue coney sauce. 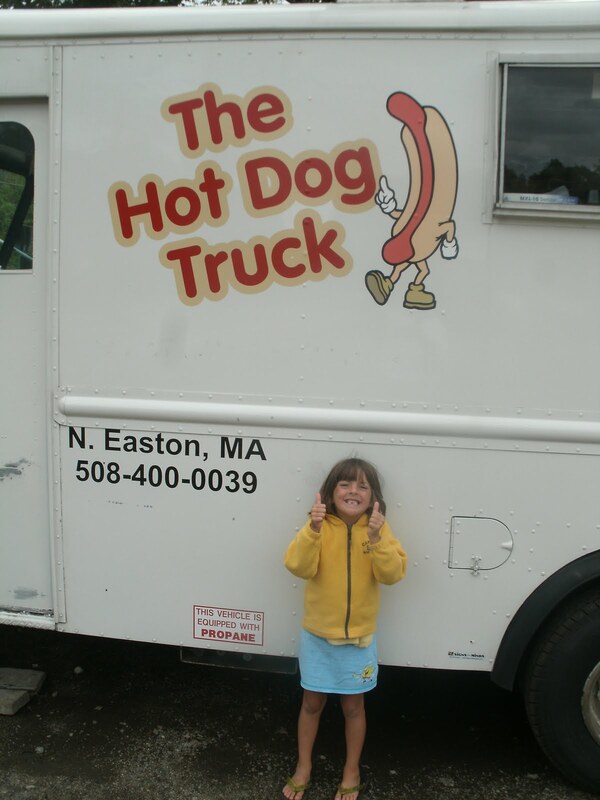 Little Miss gives Grumpy Bill’s Hot Dog Truck two thumbs up!!! 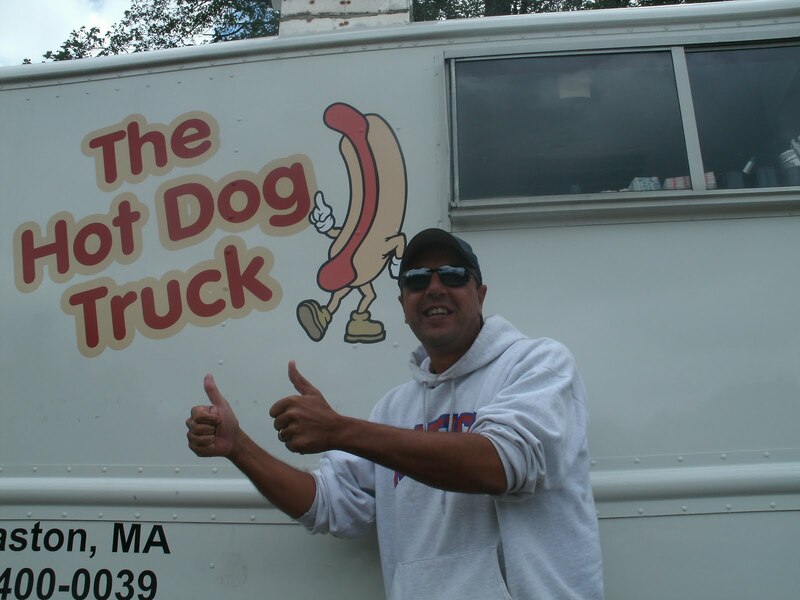 The Hotdogman gives his old Hot Dog Truck TWO THUMBS WAY UP!